Item # 312167 Stash Points: 1,295 (?) This is the number of points you get in The Zumiez Stash for purchasing this item. Stash points are redeemable for exclusive rewards only available to Zumiez Stash members. To redeem your points check out the rewards catalog on thestash.zumiez.com. A fresh rendition on a modern-day classic, the Beast 2 Black Wayfarer Sunglasses are a must-have. 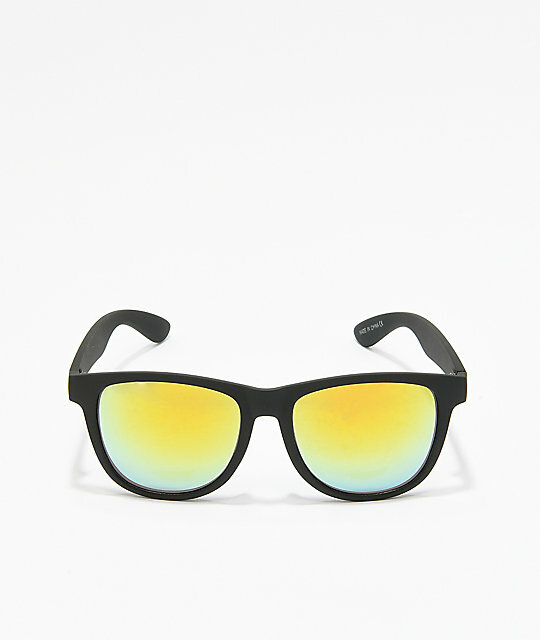 Constructed with a durable, plastic, all-black frame, these glasses feature vibrant gold, reflective lenses with 100% UV protection for a striking look that is also extremely functional. 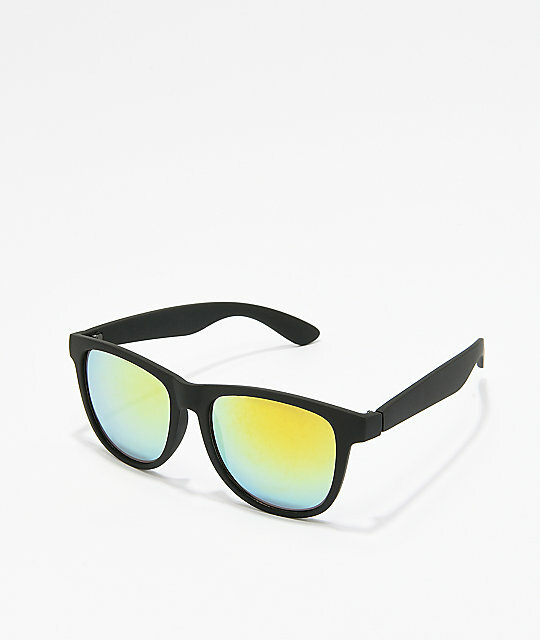 Beast 2 Black Wayfarer Sunglasses. Durable matte black, plastic frame.